Website Design Dublin for Builders and trades. We have years of experience getting great results for all types of trades including Builders. ‘Moncrieff Builders’ is an example of our website design for builders with logo design services included. 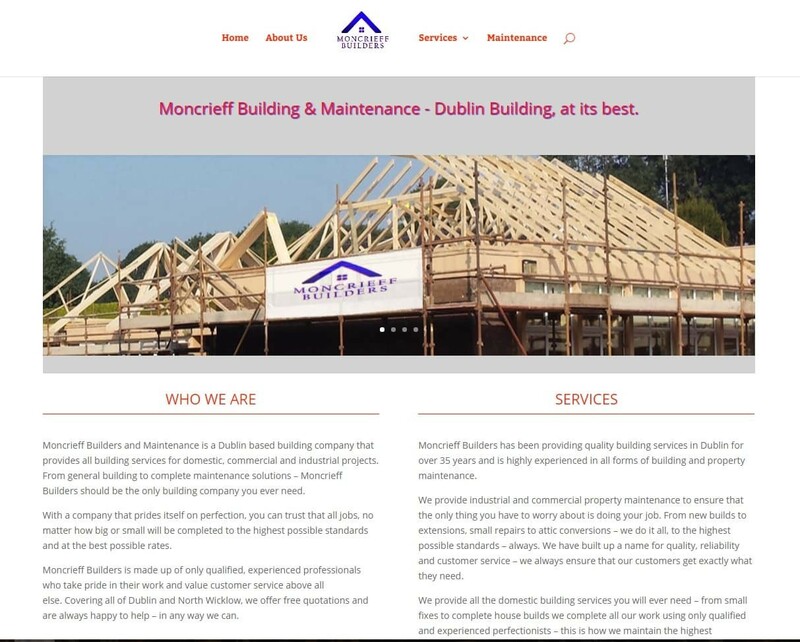 This website was created with the intention of aiding the current marketing efforts of Moncrieff Builders throughout Dublin. Moncrieff builders needed website design, logo design and simply needed to be ranked first on google when potential clients are looking for their business. 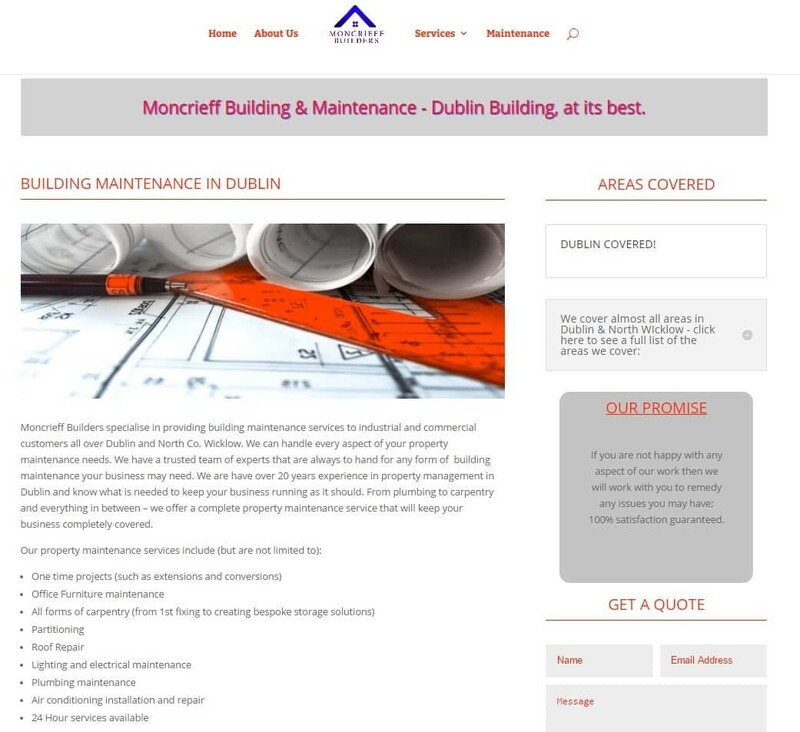 This is just one of many examples of website design Dublin for builders by Arrow Design. We can get your business name listed, keywords help with google addwords and much more. 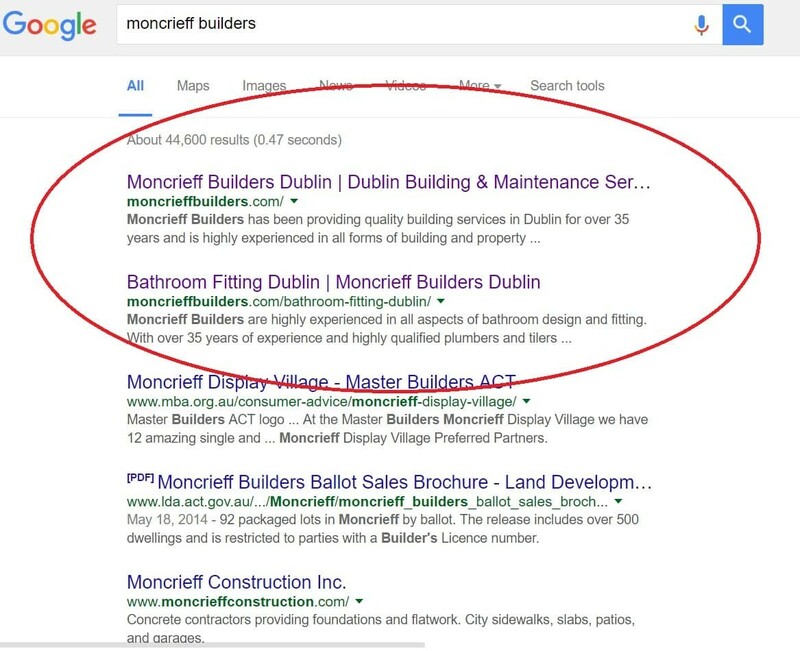 Moncrief Builders ranks #1 on Google if searched for moncrief builders. We tailor make packages to suit the individual needs of our customers and always do more for less. We GET Business – simple! These are some images of the website ‘Moncrieff Builders’ or you can click here to open google with the search term ‘Moncrieff Builders’ to see their top ranking placement. If you need a website that will work for your business, or if you have any questions, you can contact Arrow Design and we will speak to you 24 hours a day. Phone 01 6918880 or mail if you can wait a few minutes for your answer.